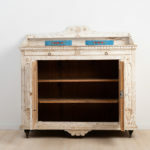 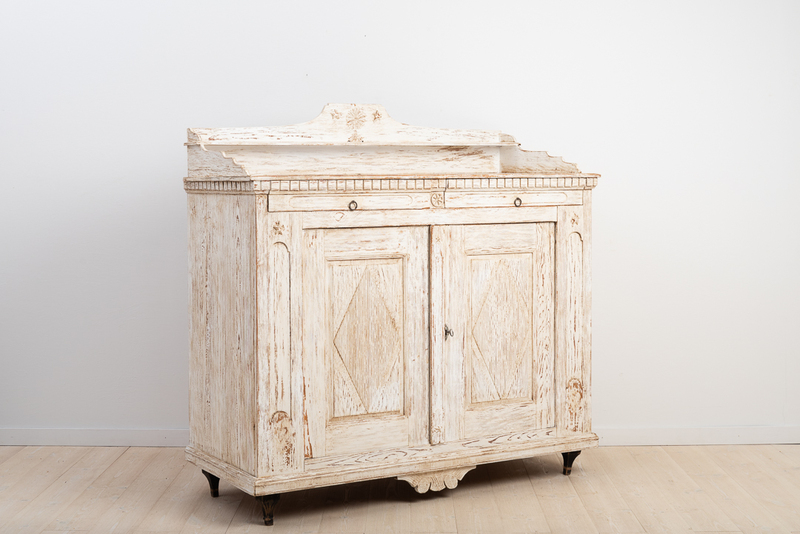 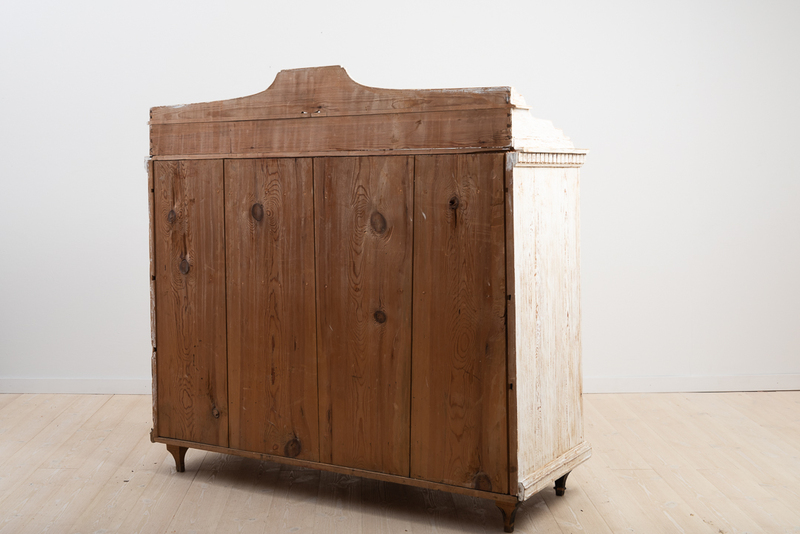 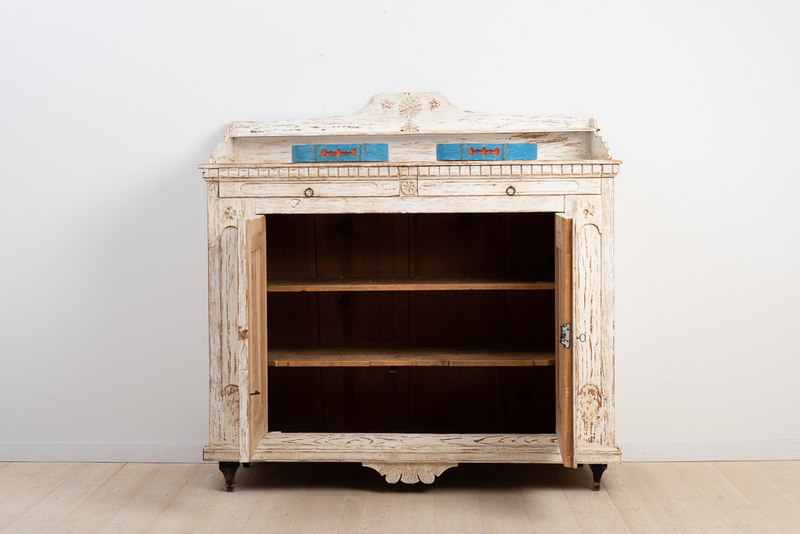 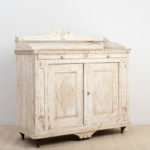 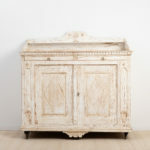 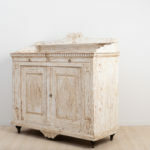 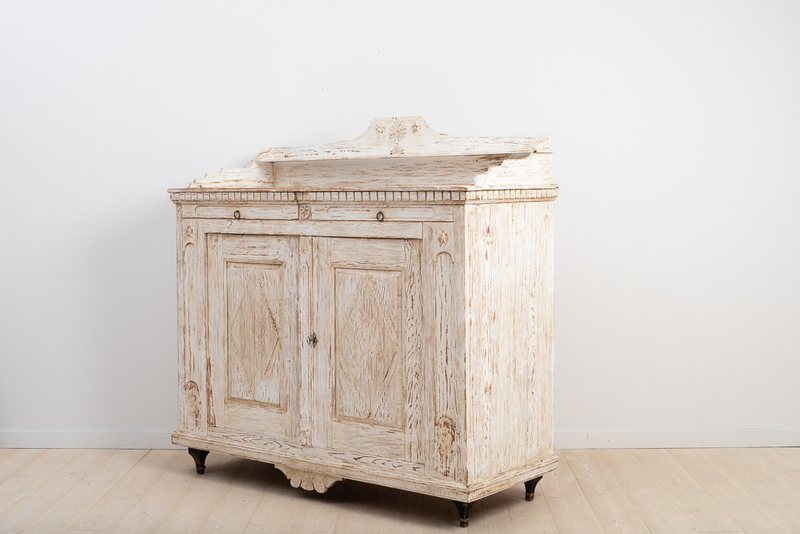 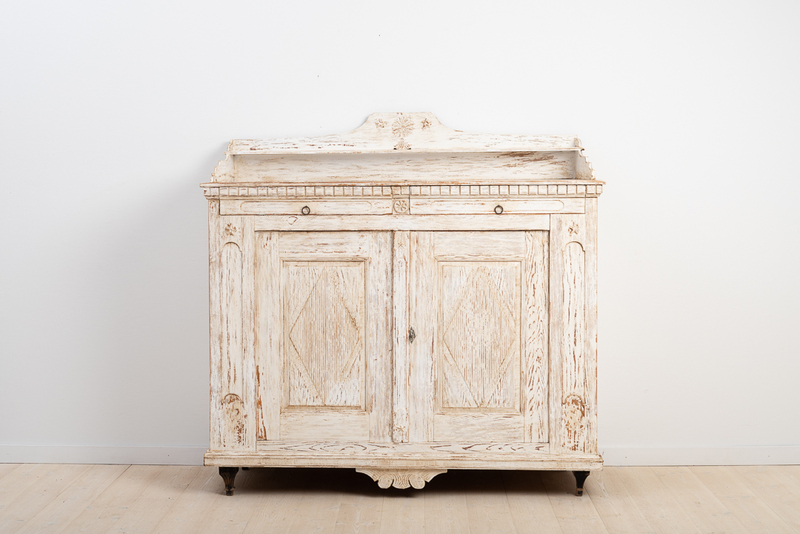 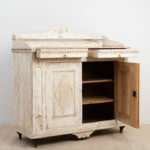 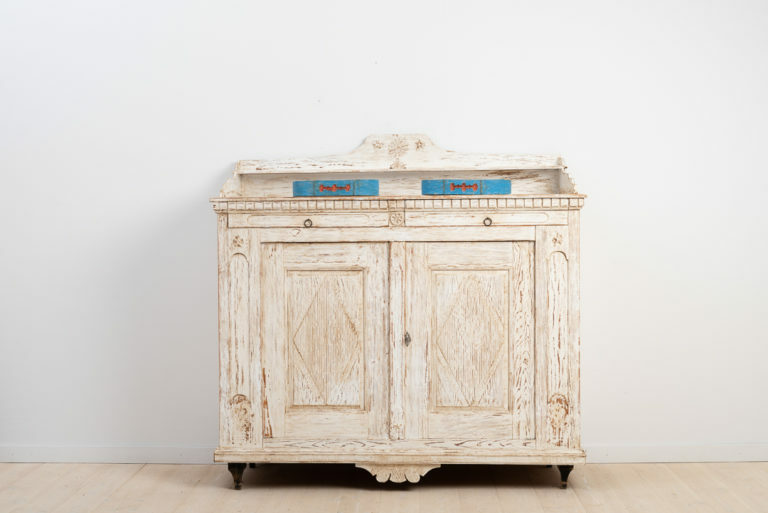 Swedish gustavian sideboard from Sidensjö, Ångermanland. 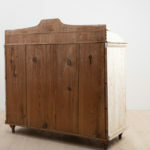 Old historic paint from the early 1900s. 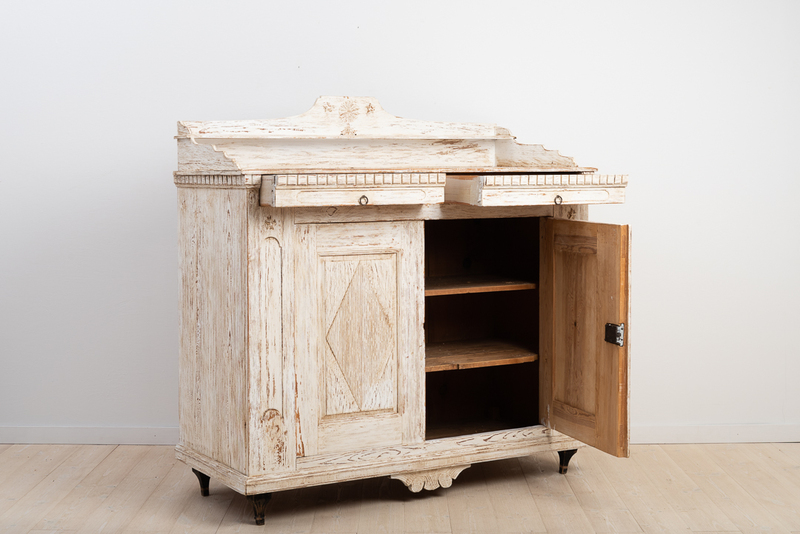 The bureau was manufactured during the late 1700s, the key and lock are original and working.